Three Outstanding Companies Headline April Pitch Week! 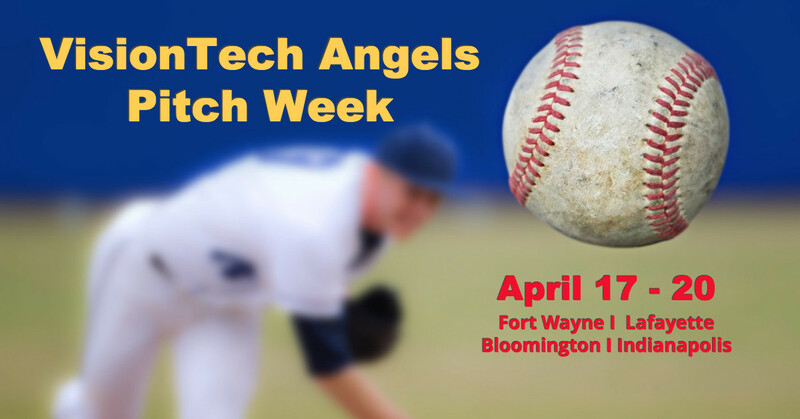 The VisionTech Angels Screening Committee reviewed five companies in March and selected three to present at our April Pitch Week next week in Fort Wayne, Lafayette, Bloomington, and Indianapolis. We’re so pleased with the all-star line-up, we’re sharing a special sneak preview with you. Retail shopping is not like it used to be! Consumers flit back and forth between multiple devices, platforms and stores before purchasing. To be successful, retailers have to make the omnichannel, multi-device experience seamless, integrated and consistent—something easier said than done. ZIO is poised to redefine the retailer/shopper relationship with a solution for retailers that have struggled to deliver a true omnichannel experience. ZIO provides an intelligent opportunity engine starts with the retailer’s data. It then uses machine learning to drive best outcome scenarios for customer marketing and merchandising, increasing ROI on the marketing spend. Ear infections are a parent’s worst nightmare. They come with endless doctor visits, prescriptions for the “pink stuff”, and in severe cases, surgery. PhotoniCare is a medical device company set to how physicians diagnose and manage middle ear infections. Their ClearView device – which looks like a modern version of an otoscope – allows physicians to see past the eardrum to the middle ear where infections reside. The data it generates supports more accurate diagnosis, treatment and management; avoids the over-prescription of antibiotics and surgical intervention, and reduces cost, pain and parent frustration. Does it drive you crazy to go to a doctor and have no idea what a lab or screening test is going to cost and what insurance is going to pay? Markit Medical is set to change that with a pricing transparency tool for use in medical practices. Here’s how it works. The physician orders an MRI for the patient. Included with that order is a choice of providers within their insurance network, the providers’ qualifications, pricing, and how much their insurance will cover. This allows patients to make informed decisions and get the most from their health insurance. This transparency should bring down the cost of care as healthcare providers will be competing for patients. VisionTech Angels’ April Pitch Week is open to members and their invited guests. If you’d like to bring a guest, please email Ben Pidgeon to RSVP. Click here for the dates, times and locations of April Pitch Week.